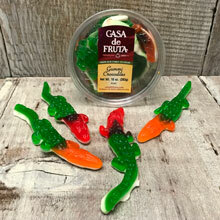 These fruity flavored Gummi Crocodiles are about 6" long. Packaged in a 10 oz. tub.